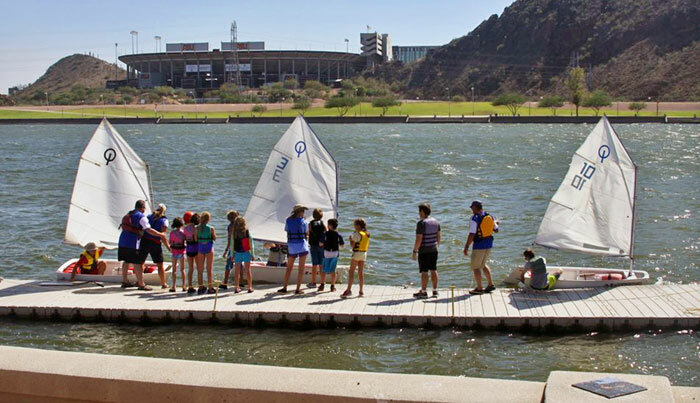 Classes are now underway for the Arizona Sailing Foundation educational courses—for adults and kids. Soon, a new course this fall for kids who have outgrown Optis and would like something a little faster, a performance sailing course using the new O’Pen Bic sport boat. This fast, sleek boat is the kind of tool that should challenge Need for Speed for adrenalin-stoked action. 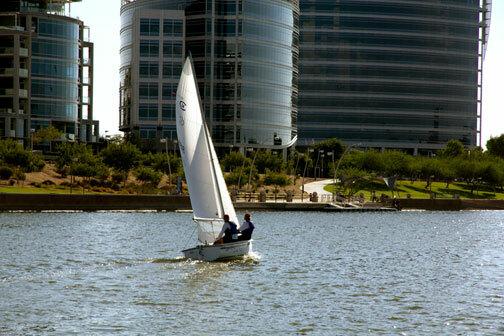 Introduction to Sailboat Racing registration is open now. The others will have another session in the spring.